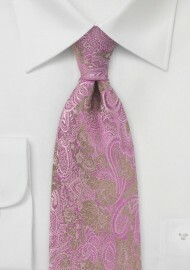 We have never seen another tie like this one, with a rare and winning combination of paisley and floral design. This special neck piece features bright fuchsia with hints of subtle golden brown tones. 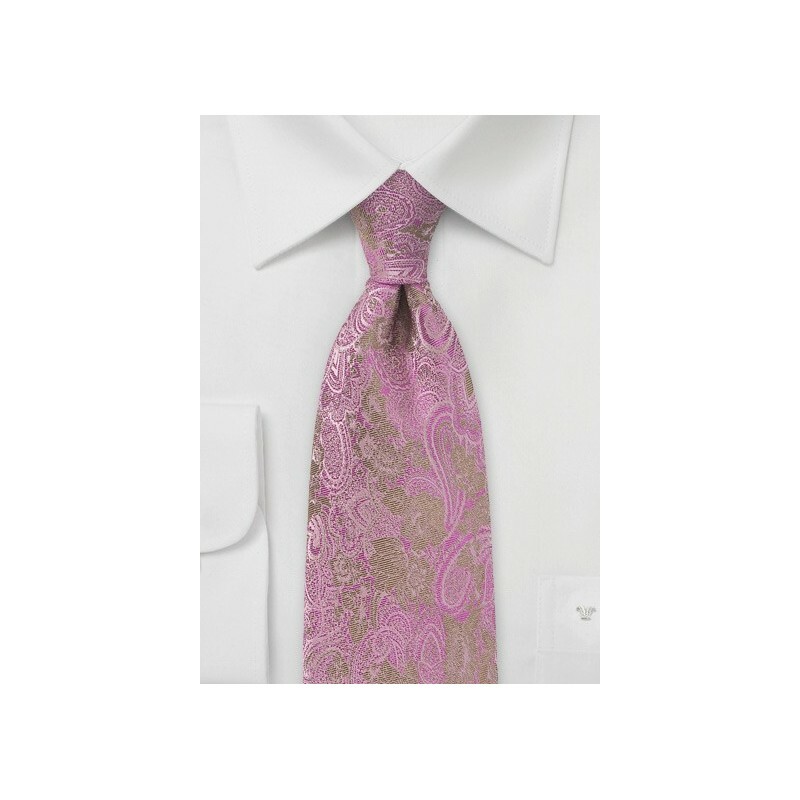 This beautiful piece is woven from pure silk and has a satin finish, ensuring you look polished at all times. We would love to see this piece paired with a camel haired sport coat for those relaxing brunch Sundays. This piece is best sported on a sunny day when you are feeling like a pop of color will do you good. Made from 100% silk.